I was overweight and unhappy about my appearance. I just knew I would never be able to lose any weight at my age. I accepted the fact that I would be that size forever. My husband and a few friends at the Fire Dept where he works, started this crazy raw food 30 day diet on January 1st, 2010. I told him, I'll eat veggies and salad with you but I'm not gonna diet and I'm still gonna eat meat. Well, half way thru he saw something on TV about The Belly Fat Cure book. He said I have this book I want to buy for you. I said no thanks. He always, only reads all these boring Self-Help kind of books. He said that's OK, I'm gonna get it anyways. I said, Well you're just gonna be wasting your money, cause I'm probably not gonna read it and I'm definitely not gonna do it. Well I just ignored the book for a few days and then read through it. A few times in fact and said to him, I think I can do this! Well - here I am, I have been doing the Belly Fat Cure since Jan 25th 2010 and I was 51 when I started. It took me 1 year to lose the weight. I can't say enough how great and healthy I feel by doing this!! I am now 55 years old 5ft 6 1/2" and my goal was to loose weight and to get down to 145-150 lbs. When I started I was 238 lbs and I wore a very tight size 18 and 20's. I have now reached my goal and lost 90 lbs ans have kept it off and wear a size 6. I did this with NO strenuous exercise, I only walk every day with my dogs. Now I continue to write this blog to help others by offering support, tips and healthy recipes that I come across. I write this for YOU!! Not for the recognition - but just to help others. If I can help YOU get healthy and to a size you will be proud of - well then, that's all I want. 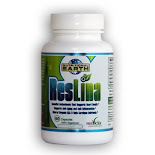 Click the Join this site button and You too can lose weight and feel as great as I do. If I Can Do IT - YOU CAN DO IT TOO!!! You are such an inspiration! I just started the BFC lifestyle! I hope I can do as well as you have. Keep up the good work, you look great. I thank you for sharing your blog! It is so nice to find an inspirational story to follow. You look fantastic! I hope that I can reach my goals as well. You have clearly shown that it is in fact possible. thank you so much! I cant begin to tell you how glad I am to get acquainted with you through BFC. We have SO MUCH in common..unreal! Ive enjoyed today reading through your blogs. I have lost 60 pounds total over the past 3 years (and kept it off!) Since being on BFC for the past 6 weeks, I've lost 10 pounds and 3 inches off my waist.I'm at 165pounds right now with a goal of 140 pounds. I was 225 pounds back in October 2007..hard to believe! With your Blog, I feel there's really light at the end of the tunnel. what is amazing grass and super seed and what do they do??????? I'd like to join your BFC blog community. I just started a few weeks ago (but BFC and my blog) but I've had the book since it came out and love Jorge! Please let me know what I can do to be included in your community! My blog url is http://www.metaketwo.com. Thanks! I bought the book online last week and read it on my ebook, but I am unable to view clearly the carb swap food list on page 124. The print is just too small!I have tried enlarging it, transferring it onto my computer and even copy and pasting. But nothing seems to work. Although I have started my diet and feel better I just need to see the count for S/C foods.I was wondering if you would know where i could get a pdf copy of the food list sot that I can do the count. I also have tried looking for similar lists online but somehow I have to keep clicking each fruit and veggie separately, which is time consuming. Sincerely, will truly appreciate it! I did want to write to Jorge but didn't know where! By the way, the picture of me is at the finish line after my first 3k run/walk. It was thanksgiving last fall...It's been down hill since then. I am late to the party, but I would love to try a bottle. My email is jillhughes23@gmail.com. If you email me, I will send you my address. Thanks!! What an AMAZING transformation! I'm so happy for you. I hope I achieve the same success. HI E, We all felt that way in the beginning, but you will get used to eating this way - its just healthy. Melinda just look at the labels of the ingredients to figure out and add together. It should be 1 sugar and 1 serving of carbs. I use the powdered coffee mate - the plain one. I know it has crap in it but it only has 15 calories and no sugar. I use heavy whipping cream in my coffee. No carbs, no sugar and makes it very creamy. Just a suggestion. I have just discovered the belly fat cure and I am about to start the plan. But, I just found you & your you tube videos and I am so thankful! YOU are an inspiration! You look amazing & when I watch your videos I feel like I am in your kitchen with you :). Thank you!!! So just a question, how is this different from the South Beach Diet? I have only part of my pancreas and my doctor put me on this diet, I like how positive this blog is! I also have a blog, still going through the motions, I have lost about 40 lbs on SBD but always wonder if there is something better and sometimes, easier. I don't want to deviate too much from this though mostly because I have lupus and fibromyalgia and my fat content is limited too due to high cholesterol. CONGRATS to you...for your healthy lifestyle...weight loss AND your gut honesty with posting (for all to see) your weight!! Mon. I'm starting on Jorge's new 'stubborn fat - gone!' program. I'm pretty much the size you were (1/2" taller...a few pounds heavier) and I use you as inspiration!! Yes. I'll take any/all inspiration/motivation for ALL!! THANKS again for having this blog. I'm sure I'll be checking in, reading previous posts and get myself psyched up!! Hi Rosy. 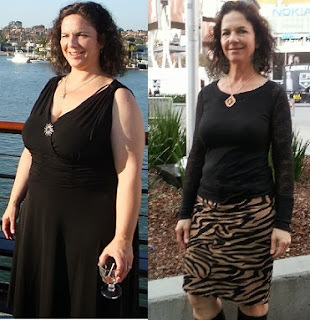 I have just finished reading BFC, BFC Fast Track, and Happy Hormones and am now ready to begin my journey back to redefining what and how I eat and finally losing the most stubborn 15 pounds of my life! Have tried every fad diet out there, including those awful "diet clinics"(3 times, I might add) and nothing has worked. As soon as I go off the diet....POW! the pounds come right back! Feeling pretty miserable about myself right now. I discovered you on Jorge's sites and have watched some of your videos and I am so inspired by you! Feeling somewhat overwhelmed right now with all that I need to do and know to begin this new way of eating and thinking about calories and foods. Can you tell me how you began the first week and what worked well for you and what didn't? My plan is to start tomorrow . Thank you. All I did was follow the original BFC - If you stick with 1 carb with breakfast and 1 with lunch and none with dinner - and be done eating everything by 7pm. nothing after except maybe decaf tea and water of course. Try to keep everything REAL food and no JUNK.. Stay under 5/sugars and 2 servings of carbs per meal. That includes any snack you might eat and ANYTHING you put in your mouth you count. sauces EVERYTHING! NO artificial sweeteners of any kind. No juices or flavored water - and no drinks. I work for the Half Size Me show, which is a podcast dedicated to helping people lose weight and maintain their weight loss. Heather, the host of Half Size Me, has lost 170 pounds and is working to spread the word that losing weight and getting healthy is possible. She loves your message and would like to interview you for the show. If you would like to check out the Half Size Me show, you can listen to past episodes in iTunes, Stitcher radio or at www.halfsizeme.com. If you are interested in scheduling an interview, Heather records week nights at 8pm EST ​over Skype or the phone. Interviews last about an hour. Thank you for your time and I look forward to hearing from you! Hi, Rosalie - I am so glad I found your blog! Your weight loss journey is very inspirational to me. I am in about the same place that you were when you started. I am 5'5" and weigh 180 lbs. I am also a breast cancer survivor and have gained a LOT of weight due to my treatments and medication. I just bought Jorge's Belly Fat Cure book last week after reading a recommendation in Dr. Christiane Northrup's book called "The Wisdom of Menopause." Anyway - you have done exactly what I intend to do! Thanks for putting it all out there and for continuing to blog about your experiences. Hi Rosalie! Thanks so much for sharing your journey and videos online so glad I found them! I am 25 and a wife and mom to my little girl. Lots of stress and trauma in my life from a young age..I deal with anxiety to this day and I know that has set me back sometimes, but in Feb of 2015 I was done and ready for a change so i started working out everyday and stuck to it after over a month I knew my diet needed some change because I hadnt lost any weight or inches but was trying not to focus on that at first and just to make it more of a lifeststyle to workout. So 4 weeks ago I started the Belly Fat Cure and lost 11 lbs so far I am 5'4 and starting weight was 173 my goal weight is 145 not a lot to loose and I have maintained this weight for over 2 years. We dont drink soda or juice, we eat pretty healthy as it is but I ate lots of fruit and carbs..My husband lost 80 lbs on Belly Fat Cure after we got married....im so glad I got the book back out and gave it a try, but I was wondering so at the end of my fourth week I didnt loose anything and I havent seen any inches coming off yet even though I have lost weight...Is it possible to have already hit a plateau? Also to keep it easier I have just been trying to keep my carbs under 100 a day and under 15 sugars I know when i fugured it you can have up to 120 a day when you break up the 6 servings of carbs with one serving being from 5 to 20 grams.. I just got a little lost at times and my husband had said he just would try to stay under 100 carbs a day. If that something that is ok to do? Any tips Id really appreciate thanks so much!! please tell me which way is it...do we go vegan for breakfast or not? I'm sure I heard Jorge say or saw it written that breakfast is to be vegan. I think that's in his new book - which I have not read. I am NOT Vegan - I like to eat meat, not all the time - but I like meat! Just found your blog, but it appears like you don't post anymore. Is life keeping you busy? Just starting BFC and came for some inspiration. PS Sorry about the user name, LOL. It's from something years ago but can't figure out how to change it-even after Googling for instructions.